» Did Noah’s Ark Survive Sandy? Did Noah’s Ark Survive Sandy? 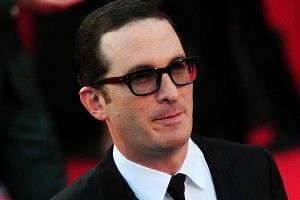 These days, with the success of the relatively compact productions The Wrestler and Black Swan having catapulted him back on top, Darren Aronofsky is working on something a little bigger: Noah, a $115 million telling of the Noah’s Ark story (as made popular by the Bible), with Russell Crowe playing the ignored prophet himself. Well, Aronofsky was working on it. Then Hurricane Sandy came along and may have wrecked his ark. Yes, really. Currently the cast is in New York awaiting further word on when shooting can resume. Noah co-star Emma Watson, tweeting what we were all thinking, says, “I take it that the irony of a massive storm holding up the production of Noah is not lost.” Oh no. Is Emma Watson one of those people that feels the need to say what the funny part of the joke is, even though everyone’s already laughed? Anyway, let’s hope the production crew and the set did indeed remain safe from Sandy. And if the ark did survive the hurricane — well, that’s some seriously convincing promotional material.